Full Disclosure: I received this product to review from Bzz. These are my opinions about the experience. Yours may vary. Now this post may be a bit T.M.I. for some of you, so I apologize now but I’m sure that I’m not the only woman out there with desire to have smooth legs. 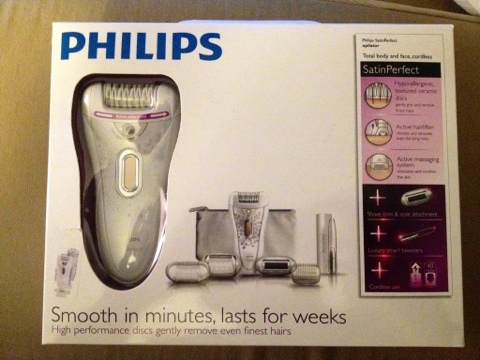 I recently received a Philips Satin Perfect Epilator kit to try out, if only this was the first epilator I’ve tried. For those whom have not had the joy of trying one, the pain is worth it. Yes these little babies pull the hair out but they also leave you smooth and rash free. It is more of a stinging sensation than pain, best to start when your unwanted hair is fairly short. One of the first things I noticed about the Philips epilator was that the “tweezers” were plastic, I felt like this was more gentle but I also won’t last as long at one with metal. The set comes with a number of different guards and a razor head. I think it would be a great kit for someone who wanted to try an elipator for the first time. Personally having it be rechargeable is a huge plus. I’m always out of batteries at the worst moments. 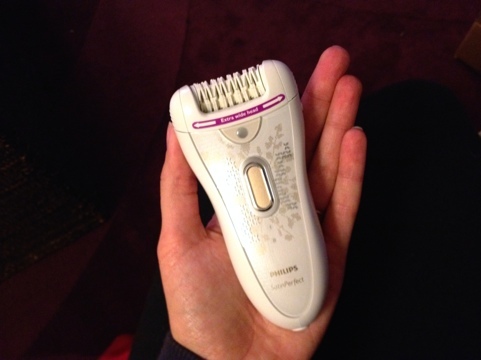 This entry was posted in Product Review and tagged Bzz Agent, Philips epilator. Bookmark the permalink. I didn’t mean to hit publish, that is for next week. I tried one of those revolving spring thingies on my beard once. You have got to be kidding me that they still make those type of torture devices. Abigail, I hate shaving and would do anything to have smooth legs even if it meant using an epilator. I think any women would. It hurt like you wouldn’t believe when I started but now I don’t even flinch. It is totally worth it to go through the initial pain.